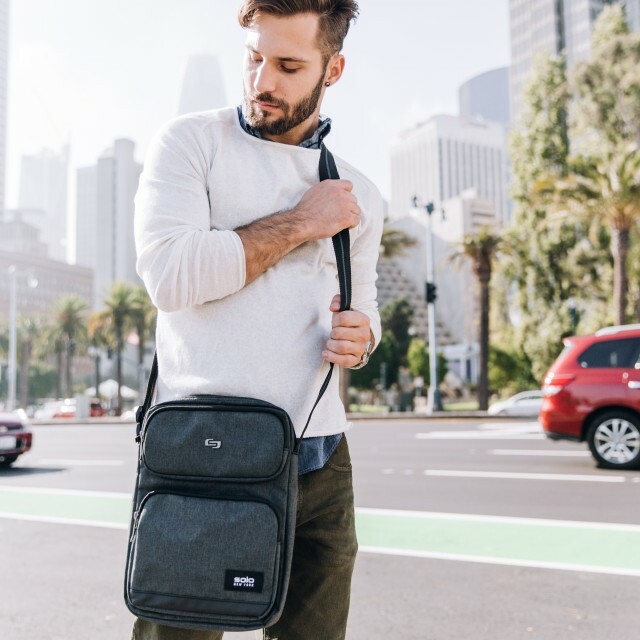 Solo New York makes some quality products, and another product which I got to review and keep is this fantastic Ludlow Tablet Sling shoulder bag for my day to day use. This bag also offers unique features and indeed have made my life easy as I can carry my camera and mobile phones during any event or regular travel. Many thanks to Gammatek for bringing them to South Africa. The product is of top quality right from the style to the colour of the material. This one comes in Black and Grey colour and has a little leather touch at the bottom front of the bag. The front side contains 2 pockets - first small one on the top side of the bag which has a soft interior side to keep your sunglasses etc. and second bigger one to keep your visiting cards, loyalty cards, pens, smartphone and charging cables etc. 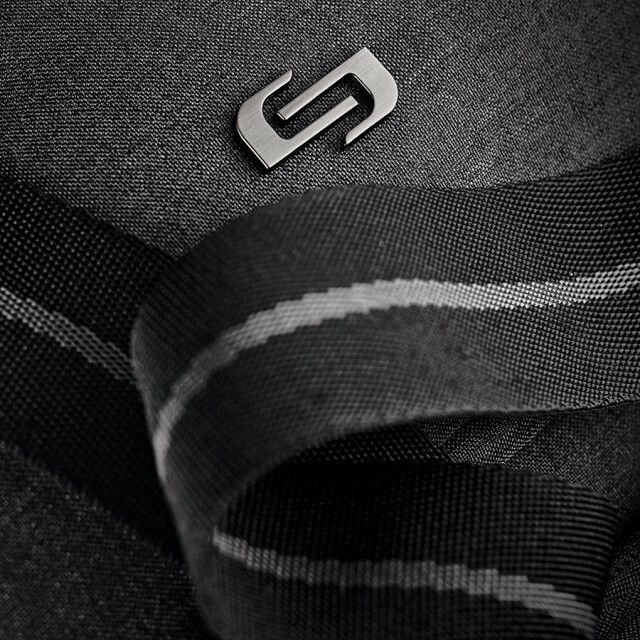 The zips on both these pockets are good quality and will last you long. This bag really increases your style and fashion quotient up a notch. 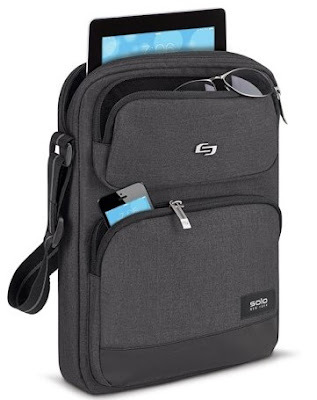 The central part of the bag is to keep your tablet or iPad secure with two portions separated by padded compartment and the front portion to keep your notebook or water bottle or sunglasses or headphones or whatever you want to put it. I used the same to keep my small sized Canon 100D DSLR camera which is easily fitted into this limited space bag. The only thing I observed in this bag is that it's not a backpack to accommodate everything you throw at it, so the purpose for this bag has to be separate. Keep that in mind, and it will help you organise your essentials. 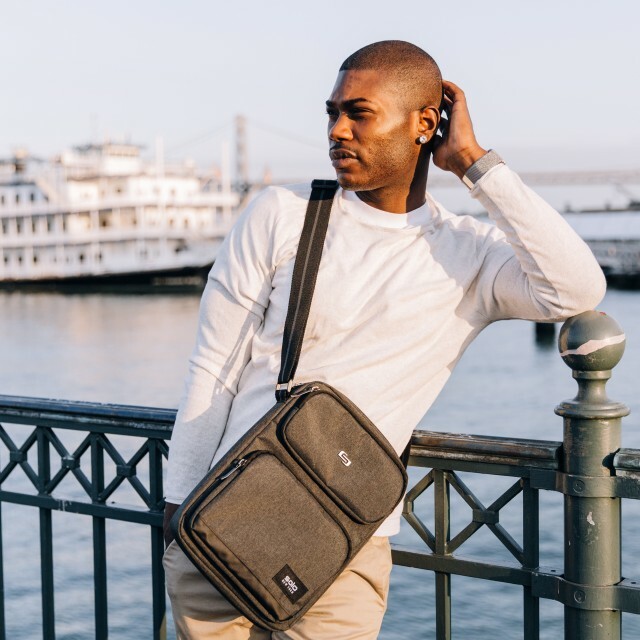 Solo Ludlow Tablet Sling bag can efficiently serve you for a quick meeting with some client where you need to show him something on your iPad or MacBook or 10-11" notebooks. It can only be used to keep something small as the width of the bag is limited, and zips won't get closed easily then. I have taken this bag on a weekend trip to keep my mobile phones, passports and other documents along with a water bottle and it served me perfectly. On another occasion, I kept my Canon 100D DSLR and a prime lens, and it fitted perfectly in this bag. Now today I tried using it with Acer Swift 3 laptop but its boundaries passed the zippers, and it could not be closed. I am sure it will work well with 10" tablets with keyboard attachments. The Solo bag is locally available at Gammatek and also at takealot.com and other online retailers. There are some pictures on my Instagram page for you to check out regarding the bag. Go check out some of the fantastic backpacks and covers from Gammatek and Solo New York. I really loved this bag for my day to day usage, and I am sure because of its build quality it will last me for at least 2-3 years.